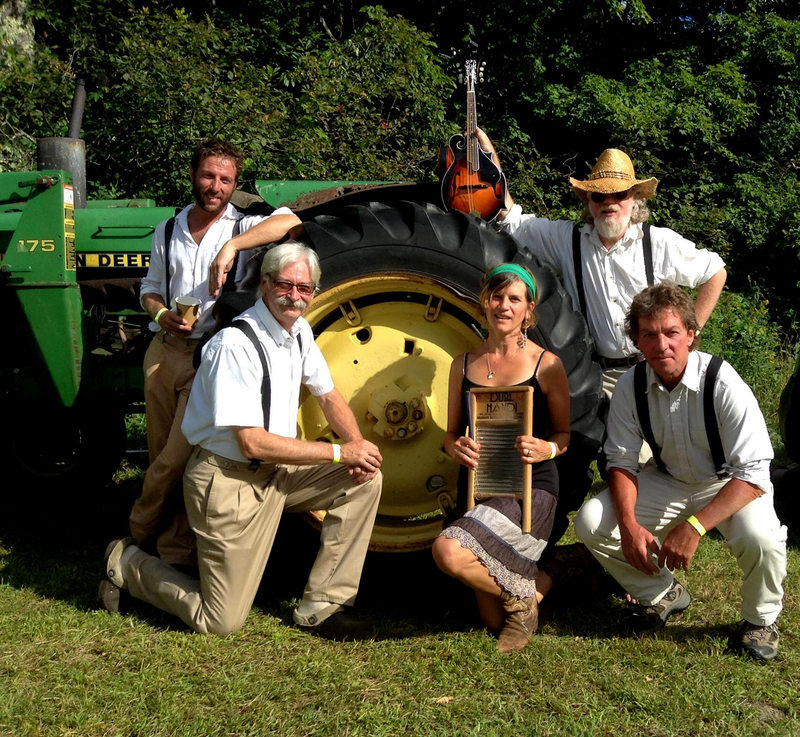 Three members of Southern Vermont’s favorite Bluegrass Band, “THE BONDVILLE BOYS” (Jake Geppert, Tom Morris and Laura Molinelli) have played together for over twenty years. Joined by Dennis Fink (bass, vocals) and most recently Ben Campbell (guitars, mandolin, vocals) this quintet is known for their sweet harmonies, sick picking, off-topic stage banter, good energy, washboard solos and ecclectic set-lists. The Bondville Boys play a huge assortment of music, including a ton of original tunes and everything from Flatt and Scruggs to Blondie. Come check us out! currently has two live CD’s, with a mix of traditional bluegrass with original songs. Bondvillian, Dennis Fink on bass. We are available for parties, concerts and festivals!